After receiving his doctorate in Mechanical Engineering from the University of Michigan, Dr. Lee was a Postdoctoral Research Fellow (2012) and a Research Investigator (2013) in the Department of Mechanical Engineering at the University of Michigan. As of 2014, he is an Assistant Professor in the Department of Health and Human Performance at the University of Houston. Dr. Lee is also a member of the faculty in the Center for Neuromotor and Biomechanics Research of the National Center for Human Performance at the Texas Medical Center. In 2015, Dr. Lee joined the Michael E. DeBakey Veterans Affairs Medical Center as a Researcher. Dr. Lee is researching the potential of his recently developed smartphone-based assistive system to support in-home balance training and exercise for people with Parkinson’s disease (PD). Postural instability, a cardinal symptom of PD, can result in loss of balance and risk of falling, thus reducing independence in daily activities. 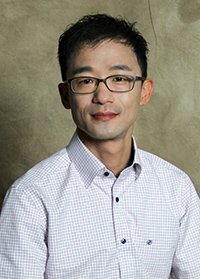 Although existing dopamine replacement therapies do not treat postural instability effectively, Dr. Lee and his team have demonstrated in laboratory settings that balance training assisted with biofeedback technologies decreased body sway and increased a range of motion for people with PD. Lab-based biofeedback technologies are impractical for use in the home due to size, weight, calibration procedures, cost, and fragility. They also lack user-friendly interfaces and simplified displays. APDA initial funding of this work through a 2016-2017 Research Grant was instrumental in the development of a smartphone-based system, called the Smarter Balance System (SBS) and its usability for physical therapists’ recommended balance exercises performed by people with PD over one unsupervised training session in a laboratory setting. The first four months will focus on more SBSs, and the second eight months will focus on the systematic in-home studies. 22 people with idiopathic PD having bilateral symptoms with impaired postural reflexes (i.e., Hoehn and Yahr stage classification of between 2 and 4) will participate in the study. All participants will be randomly assigned to one of two groups of 11 (intervention group vs. control group). Both groups will use SBSs and Fitbits. Only the intervention group will complete in-home balance exercises with SBS. The control group will not perform in-home balance exercises with SBS, but will use only the SBS’s smartphone paired with the Fitbit. All participants will undergo quantitative and qualitative assessments of their static/dynamic balance performance before, after, and one month after their in-home use of the SBS and Fitbit. Improvements in balance performance that are retained for time periods of weeks to months after extended balance rehabilitation training with the SBS will improve quality of life (more confidence in performing daily tasks and decreased fall risk) for people with PD. The SBS’s user-friendly and wearable characteristics will eventually reduce the need for assistance by family members and other caregivers while people with PD perform balance exercises at home. 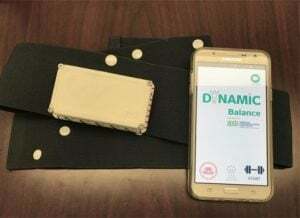 Beom-Chan Lee, assistant professor in the University of Houston Department of Health and Human Services, is creating the Smarter Balance System to help with in-home balance training. This study will assess the impact on long-term rehabilitative training for people with PD who receive in-home balance exercises with assistive guidance via SBS and quantitatively and qualitatively analyze the carry-over effects of long-term rehabilitative training with SBS on balance performance, daily physical activities, and confidence in less fear of falling.